It was called a 'balloon stack' because it looked like a contemporary hot-air balloon. Not so much because it bulged out like a kid's inflatable balloon in a curve, like the ones discussed in the last couple of posts. As an aside, I believe that's a photo of Western & Atlantic "General" after Sherman took Atlanta. The following drawing of the Diamond Stack to be used on Climax CN 1551. The Cass Scenic Railroad required that a Diamond Stack be used on CN 1551. The Cinder Deflector was pulled from the junk pile at Cass and was originally intended for a Shay. There was earlier talk about modern Nashville, Chattanooga and St. Louis steam locomotives with flanged stacks in this thread. 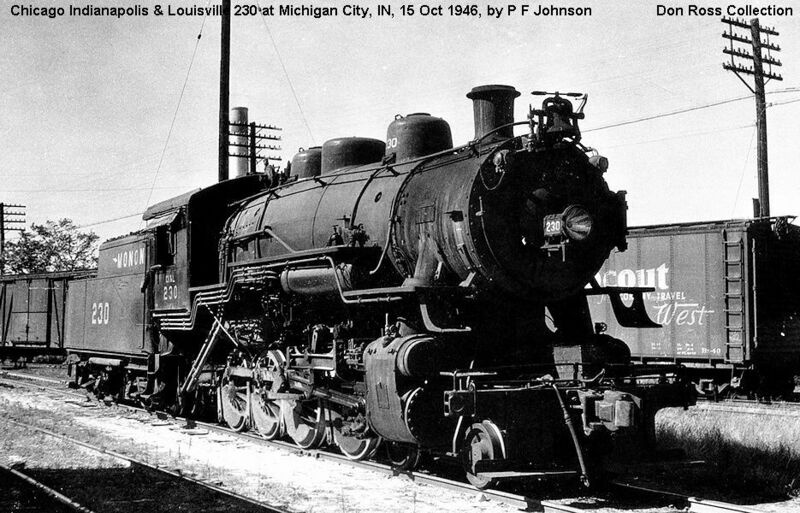 Ever wonder why the NC&StL locomotives had flanged stacks? When David P. Morgan was researching the story on the Nashville, Chattanooga & St. Louis Railway 4-8-4's for the December 1963 issue of Trains Magazine, he finally had an opportunity to clear up an old question: why did the road cling to flanged stacks? Were they simply ornamental? "They were designed to prevent smoke and gases from settling back along the boiler, and they worked because the air flow did indeed keep the exhaust from falling below the shelf (point of widest diameter) of the stacks. NC painted the flanges bright red, you see, and the color below the shelf was never smudged by smoke. That was the proof that they were effective." I have always wondered if there was a functional purpose for flange stacks on locomotives. While some roads used them into more recent times, they seemed quite popular on straight stacks that replaced diamond stacks in that era. But until now, I have never heard an explanation for the purpose of flanged stacks. One might have assumed that they were simply ornamental, but that seems doubtful since they emerged in an era when design was becoming more functional. The screen inside the stack--either balloon or diamond--is at the widest part. The total area of the openings within the screen must great enough to pass the expected volume of exhaust gas, and so the whole dimension of the screen must be large because of all the obstruction of the screen material itself. In every funnel or diamond I've investigated, there is some kind of baffle at the top of the stack itself, immediately below the screen. This forces the blast and its associated debris down into the hopper. On balloons, either the entire screen or a section of the screen can be opened. This improves draft, but of course it allows embers to pass out. I've seen examples in photos of Central Pacific and Southern Pacific balloon stack engines operating in snow or rain/drizzly conditions with the screen open. But in dry conditions that was forbidden. 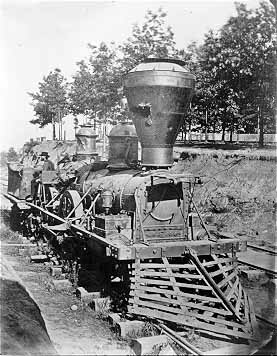 Locomotives throwing embers through burned out screens were required to stop at the first available siding until that was repaired. I have long felt that the inverted funnel above the screen which makes the top of a diamond stack was intended as a smoke lifter. Smoke is not particularly thick on a wood burner, but with coal, smoke is a problem. By reducing the area of the exhaust, its velocity is increased, thus propelling the smoke higher, and hopefully out of the locomotive crew's eyes. If true, this would explain the association of the diamond stack with coal burners. However, I have never found evidence in the literature that this was actually the reason behind the introduction of the diamond. I once asked Jack White's opinion on this and he felt the inverted diamond was merely to beat the embers up a bit more. But, not having nearly the experience with coal fuel as I do with wood, I don't know that coal has any more embers that wood and so don't know if that alone would explain the introduction of the diamond. On many balloon stacks there is a clean-out at the base of the hopper. For some reason these seem to have been removed on many locomotives. On one balloon-stacked woodburner with which I am familiar, this clean-out remains in place, but is not particularly effective as the internal hardware that connects the funnel to the stack prevents full access to the base of the funnel. In practice (as with other balloon stacks not equipped with the clean-out), the stack is simply removed, inverted, and all the ash is shaken out. I've never found contemporary literature revealing how balloon or diamond stacks were cleaned "back in the day". I have been reading some of this entire thread, and recalling some of the speculation and reasoning about cap stacks. I wonder if there was more than one reason for them. One point mentioned was the use of a cast iron ring or "cap" to finish off the end of a rolled iron cylinder used as a stack. One might wonder why such a rolled cylinder would need a ring for any structural reason. I suppose a stack might be vulnerable to damage from striking snow, icicles, or animals. A ring would stiffen the stack against bending. There was also some discussion about the function of the round lip or bead around the circumference of the opening of a cast iron shotgun stack. Three photos of an 1875 Baldwin narrow gauge locomotive stack undergoing restoration. The first image is the funnel (cinder trap and collector) being fit up preparatory to riveting. The top ring with half round was saved from the original stack as was the hardware. It can't be said the ring is positively original to Baldwin but if not it is an early replacement. The second image is the stack with cast iron deflector (original Baldwin) and threaded supports (believed to be original) and threaded hold down fittings (believed to be original). This is the stack through which the products of combustion are initially conducted. The screen is behind and to the right. Some parts of which are early or original. To the left is the funnel upside down of saw horses. The third image is of the cast iron base with funnel base and clean out. The clean out casting is a reproduction. The cast base is original and hold downs are believed to be so. There are eight holes in the base casting. Four are for the funnel and four are for the stack as seen in the second image. As Mr. Sullivan pointed out these clean outs aren't worth much and we clean out our wood burning stacks by removing them from the locomotive and power washing the accumulated ash out. The new sheet metal was replaced because of deterioration of the original fabric. This stack belongs to CTL&F locomotive Glenbrook, a Baldwin 2-6-0 narrow gauge, currently at the Nevada State Railroad Museum. In reference to the first posting on this subject we decry the misuse of the balloon stack, in part, because a deflector isn't incorporated and so a straight column of smoke issues out the top of the balloon. It looks particularly stupid. They are also indiscriminately applied to locomotives upon which they do not belong. I have been reading some of this entire thread, and recalling some of the speculation and reasoning about cap stacks. I wonder if there was more than one reason for them. From what I recall from my days as a member of the Monon Railroad Historical-Technical Society, the caps were primarily for the ease of securing canvas over the stack opening for the many times Monon locomotives were put into storage. Whether that fact is true of not, the cap stacks gave the CI&L engines a rather distinctive look. I notice a fair amount of variation in “cap” or “flange” stacks. Maybe the two terms reflect this variation, or maybe they are just interchangeable terms. But the shape varies from a sort of bell form of cone to a limited square form of flange section. I am familiar with the Monon’s use of cap stacks. They were also used by D&H and T&P. Other than these roads and the NC&StL, I cannot think of any others that used cap stacks into the most modern era. However, around 1900, these cap or flange stacks seemed to have been widely adopted as a replacement for the diamond stack which was being eliminated due to revised spark screen systems. At this time, I suspect that there were very few roads that did not own locomotives with cap or flange stacks. Flange or cap stacks were very common from about 1900 to about 10-25 years later. It is this initial prolific flange stack era that I am most curious about. There must have been solid reasoning behind their purpose, yet there seems to be no explanation for their going out of favor. Ron, your timeline for when cap stacks came into vogue is about 30 years too late. The idea that cap stacks started to get popular around 1900 and lasted for another 25 years is incorrect; They were mostly gone from the American railroad scene (except for the occasional outliers like the T&P, as noted), shortly after the turn of the century. Engines built in the early 1860s featured cap stacks (and short smokeboxes), and the earliest I've seen one is from a photo taken in 1852! The idea that cap stacks came into vogue at the time when "design was becoming more functional" is in error. That wouldn't happen until the 1890s (see, e.g., NYC&HRRR 999), but even into the start of the new century, some engines were still being built with cap stacks. The fact is, engines with cap stacks were predominately built in the 1870s and 1880s--this period was the height of the Victorian era. There seems to be no functional reasoning whatsoever for the cap stack design. Some books go to great lengths describing the mechanics of smokestacks; "Modern Locomotive Construction - 1892" spends eight pages of dense type describing stacks and their mostly spark-arresting function; there are two cutaway drawings of cap stacks, and a slight description of how they are constructed, but no reasoning is given. Too, we see the cap stack design put to wide use on British engines, where there caps were often brass (on this side of the pond, cast iron seems to have been predominate). We see cap stacks even on tiny narrow gauge switch engines; I suspect any aerodynamic effect of keeping the smoke from "settling back along the boiler" were not in play here. Finally, we see cap stacks in heavy use in Mississippi steamboats of the era. Yes, many of these featured "crowns," but there are more than a few examples, on both the smoke stacks and the steam exhaust stacks, that are virtually identical to railroad cap stacks. Again - these were purely ornamental. The idea that they could be used to tie a tarp over the top doesn't ring as a likely explanation: A simple lip at the top of the stack - like we see on modern engines - would have done the job just as efficiently as the often quite-elaborate cap stacks of the era. The simplest, likeliest, most straight-forward explanation is simply that cap stacks were Victorian ornamental baubles, reminiscent of the also non-functional and only-decorative fluted dome casings also used in the era. I agree that the cap or flange stack is likely to have been purely ornamental. Even in the era following the highly decorative locomotives, certain features of non-functional style remained. The preference for flange stacks may be one of those features. I am not certain about establishing any cutoff point in history for the ending of the use of cap stacks, but I would pick 1900 as being close to the point of maximum use of these stacks. Continuing beyond that, I estimated a range of 10-25 years. The difference between 10 and 25 indicates my uncertainty of the decline. But I see evidence that cap stacks were being applied to new locomotives up to 1910 and later. Here is a link to historical information on the NC&StL. It shows their early locomotives wearing flange stacks. The NC&StL’s use of flange stacks appears to have been a continuation of practice originating earlier as it did on many other roads. So what makes NC&StL unique is that they retained the flange stack design into a much latter period than most roads. I speculate that the greatest number of cap/flange stacks in use was circa 1900-1910. This would have included a high number of older 4-4-0s, 2-6-0s, and 4-6-0s rebuilt in a widespread trend to include extended smokeboxes and straight stacks replacing their diamond stacks. It would also include many new locomotives built after this rebuild trend. I do agree with your point that cap or flange stacks were in use prior to the smoke screen conversion from diamond to shotgun stacks, although not as prolific. In checking several photo and drawing books, I see cap or flange stacks used from the 1850s and forward to at least 1910. I assume that most locomotives during the Civil War period were wood burners. Most of the photos I find from that period show locomotives with funnel or balloon stacks. In the book, Civil War Railroads by George Abdill, I find about four locomotives with cap stacks. Page 77 shows a 4-4-0 named John M. Forbes, built by Baldwin in 1861 for the Philadelphia, Wilmington & Baltimore Railroad. It is a lavishly ornate engine with a with a rather sleek and wide brim cap stack which seems to fit right into the ornamental design features of the domes and unique cab roof. ACL 2-4-2 #154 built in 1895. The Atlantic Coast Line had locomotives that they referred to as “Copper Heads.” They used a flange or cap on their stacks that was made of polished copper. ACL Copper Head 4-6-0 #326 looking fine. Here is a figure that may be of interest in this discussion, taken from an 1897 Baldwin catalog I recently acquired. I don't know how many diamond stacks (center) were actually being sold in 1897, but they were apparently still available as a catalog option even at that late date.